This isn't very comprehensive, I lost my .txt document where I had more listed and even deleted a few from the list, because I could not find their doppelgangers. Just a quick fun list. If you can think of any, leave a comment. Every year in my area of Illinois, the Cardinal Caravan comes around. Growing up, it was the best part of a bleak January when 1-2 Cardinal players would come to the Quincy Mall for an autograph session. 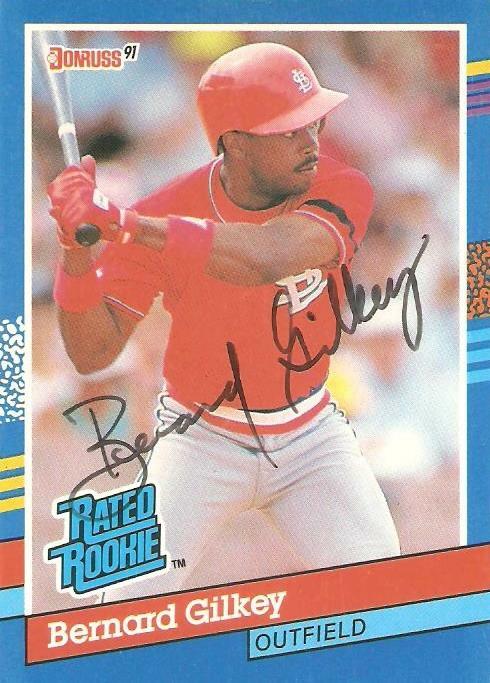 The following are cards I had autographed from 1993-96, when I actually attended these. You can create your own lists under Lists.